Paul Krugman has some wise words today about the reactions we are seeing from politicians in (understandably) France and (less understandably) the United States to the Paris attacks, and why putting a hatpin through our collective frontal lobes and treating ISIS as an existential threat to our way of life is a big mistake. 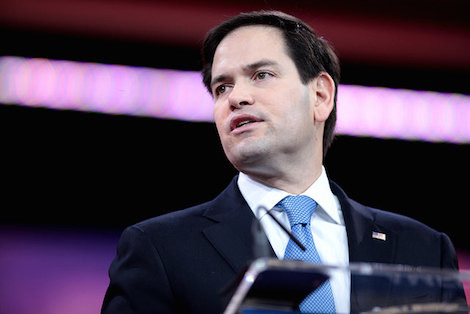 Rubio, by contrast, is going far beyond Bush. And he’s doing exactly what the Islamic State wants: He’s equating ISIS with Islam itself. This is simply false. The Islamic State may hate tolerance, liberty, and women’s rights. But that’s not why its cadres attacked Paris. According to Rubio’s logic, this focus makes no sense. If what motivates the Islamic State is hatred of liberal democracy, why has it spent years fighting the authoritarian governments of Syria and Iraq? And why did it reportedly down a Russian airliner last month? After all, Vladimir Putin’s Russia is not known for its commitment to liberal democracy either. When I think of terrorism in France, I always think of the terror campaign waged by the ‘Organisation de l’Armee Secrete (OAS, or Secret Army) in the early 1960s aimed at stopping Algerian independence. It involved bombing attacks in both Algeria and France, and an attempt to assassinate Charles de Gaulle. The French did not knuckle under, and the crisis passed. I’m not saying the OAS and ISIS threats are the same, but the use of fear and intimidation to influence policy are the same, as is the rational equanimity that represents the best response.